It is quite surprising to find a secluded beach paradise in any part of the world considering how tourism to beach destinations is so popular. What’s more interesting is that we found it in a country we love, on the Nicaraguan coast. 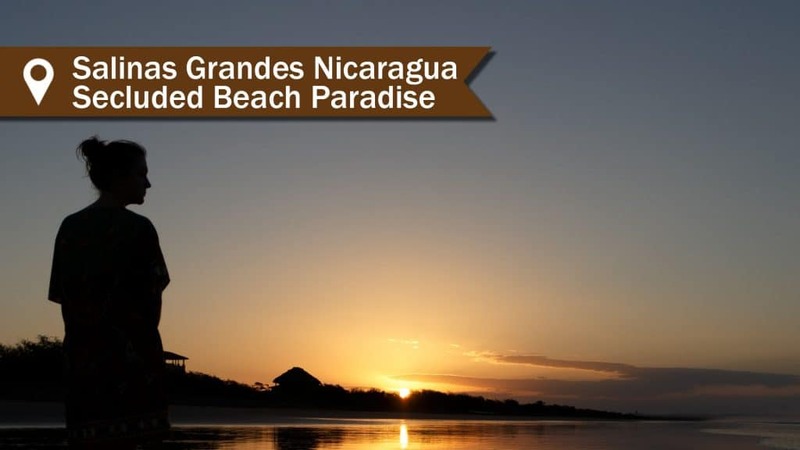 Nicaragua also happens to be outpacing all other Central and South American countries in tourism growth of 28% so far in 2017.That idyllic beach paradise is called Salinas Grandes Nicaragua, where you can have the beach and the surf virtually all to yourself. We have been there twice now, and during the second time, we stayed for a month. Be prepared to unwind and relax in this secluded paradise. Here's more information about it. Salinas Grandes is a small fishing and salt-mining village that is less than an hour from the City of León. It is located in the less-visited portion of the northern beach coast. The beach stretches into three kilometers of soft gray volcanic sand with sensational waves and sunsets. It is also south of the more popular Las Peñitas beach area at the other side of the protected Juan Venado Island Nature Reserve. It is further north of the well-known and touristy surfing spots of Playa Maderas and San Juan del Sur. In our view, Salinas Grandes is the best beach in Nicaragua! At the River Mouth where La Garita Estuary meets the Pacific Ocean, you will find a corner that is home to Salinas Grandes Day Beach Resort. It is a perfect spot to chill or take in some adventure such as kayaking, stand-up paddle boarding, boogie boarding, or just relaxing, grabbing lunch and beer, and hanging out by the pool watching the waves go by. Check out the video below. Since Salinas is a fishing village, real life happens at the beach. In the mornings, you can find the fishermen heading back to the village with their catch for the morning – and often you will see many vultures fill the beach at this spot feasting on the fish scraps. This is a Nicaraguan-run camp with small casitas, pool restaurant and surfing lodge. It has lovely grounds and views of the ocean. This is the lesser-known part of the beach not because it is less beautiful, but because the access to this area is currently more challenging, especially during rainy season, as it is through the Salt Flats. There are plans of improving the roads here very soon, which will create a marked progress to the place. Despite the challenges this area poses, guests still come here all year-round to enjoy it! Looking to surf Nicaragua? The waves here are excellent and best during the months of September to February. Imagine walking out your front door to get on the beach and on a board in minutes, without waiting. This is surfing for experienced surfers. The waves are great on the south end and north end of the beach. 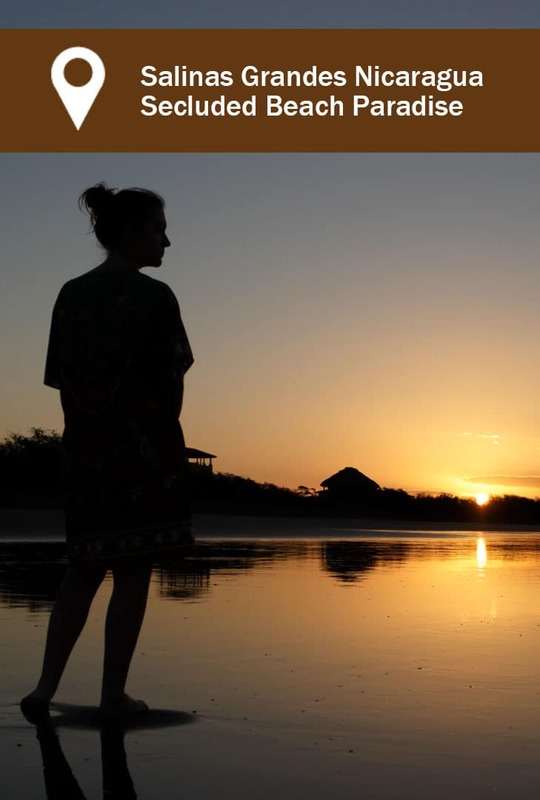 Salt Escapes Nicaragua Offers everything you need in this area from lodging, excursions, wellness services, a restaurant and even volunteer projects. • Off the grid solar homes. All the vacation rental details are here. 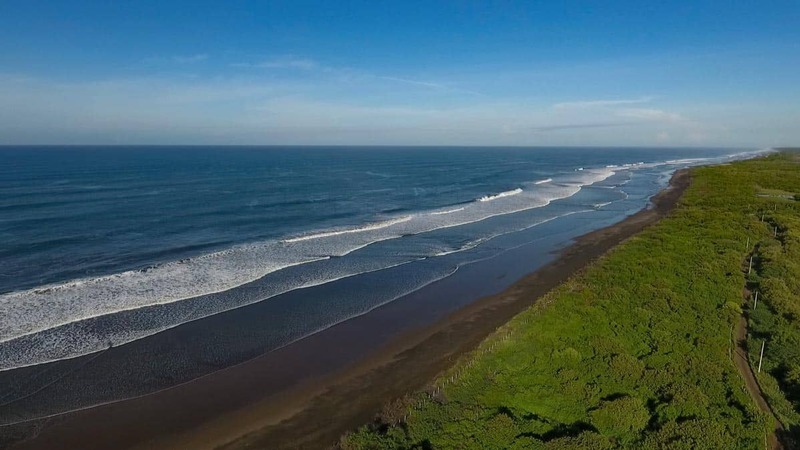 • Experience Packages – The managers of these homes can organize surfing tours to other areas on the beach, Day Beach access, and Volcano Boarding to Leon, as well as grocery service to cook your own meals or dining at a high-quality restaurant. • Massage and Wellness Services – Resident and Canadian RMT accepts bookings for guests at the vacation homes for massage services and facial stretching. • Salt Lodge Restaurant – (opening in November 2017) two chef-owners from Canada will be offering quality food just steps away from the Pacific. 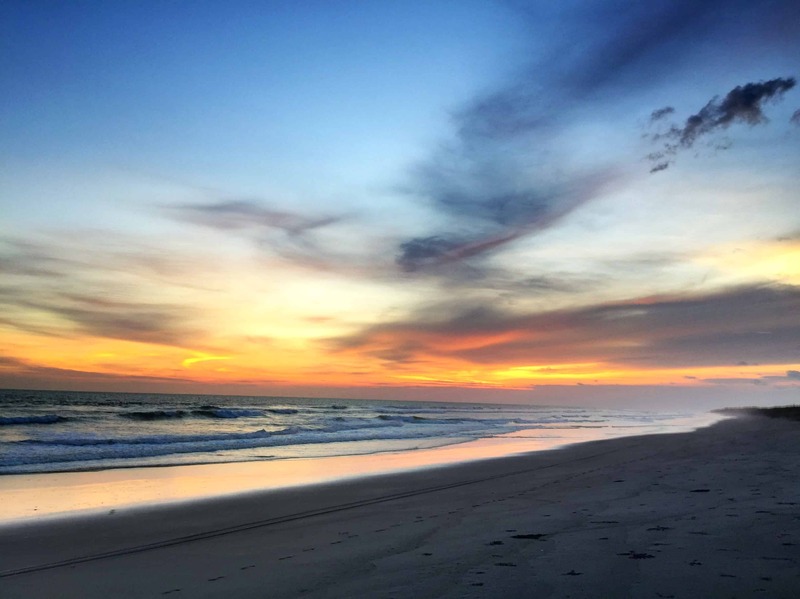 • Retreats - Thinking of your next opportunity for a business off-site planning meeting? How about a 10-person retreat? Salt Escapes has these. Other lodging in the area includes Playa Tesoro holiday homes with a shared outdoor pool, BBQ and sports facilities and a restaurant. 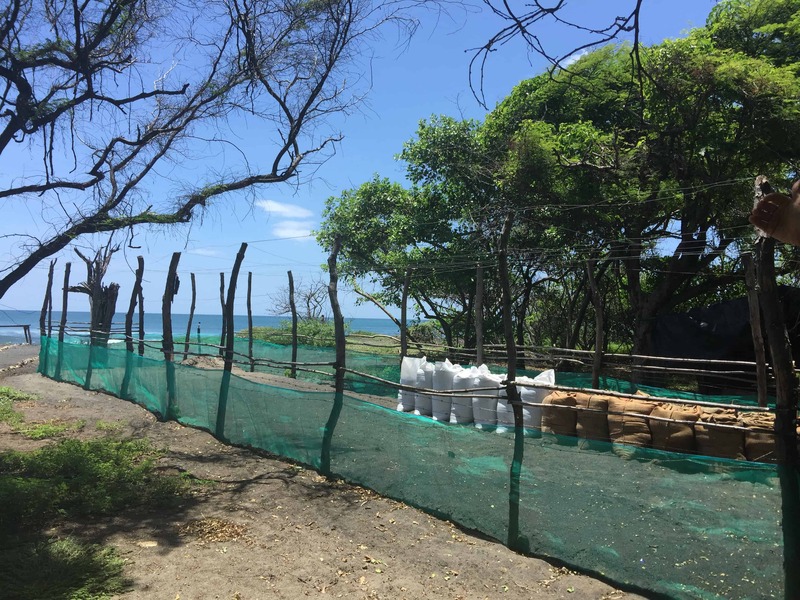 Just a short walk away from the vacation homes and right at the beach is Tortuga Vivero – a Turtle Sanctuary with the sole purpose of buying turtle eggs before they are sold in the black market, and they are brought here to be hatched and released into the ocean. 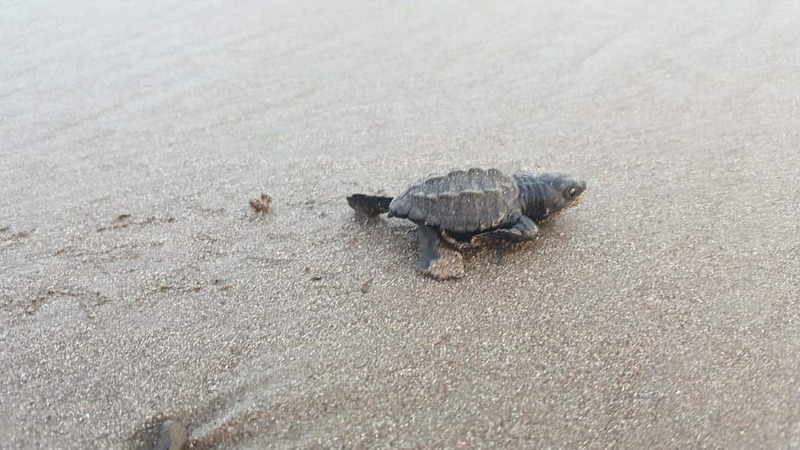 During the months of November to January, you can volunteer at the Turtle Sanctuary to learn more about the project of protecting turtle eggs and give thousands of sea turtles a chance of survival. Baby turtle eggs in these sacks, almost ready to be brought into the world. All accommodations mentioned offer transport services from Managua Airport or León.Salinas Grandes Nicaragua is located off the main highway to León: the NIC12 highway; you turn off to the Camino Salinas Grandes, which is a large Movistar Antenna onto a gravel and dirt road. Depending on where you will be staying, they will provide you directions through the Salt Flats. Currently, the north side of the beach has bus access from León Market to Salinas Grandes. However, there is no bus available on the southern part of the beach at this time. Salinas Grandes really allowed us to slow down, and experience the calm of the waves, which became the white noise that relaxed us throughout our visit. This is an underdeveloped part of Nicaragua. Many of the men in the village work at the salt factory and it is very hard, labor intensive work for a small wage. Tourism is very much just starting here, slowly, and it as important for us to be respectful of that, not to expect everything to be anywhere near what you expect at home. The power goes out at times, so does the internet, and it's hot here. Embrace the opportunity to explore a place that few still have visited and will no doubt change over the next several years. 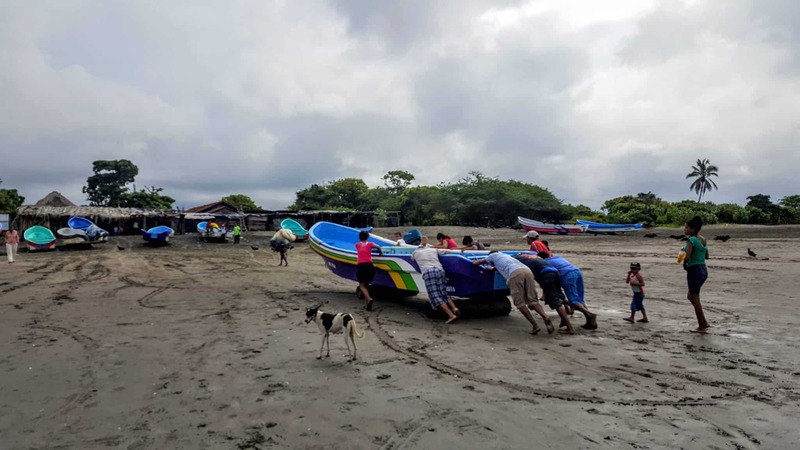 • Visit the local community; get a taste of how a Nicaraguan village community lives in this up and coming area of Nicaragua. • Learn about the community projects going on there, this is a developing country that is slowly changing and evolving, it definitely gives you a different perspective on life here. • Get involved in the Turtle Sanctuary and Salinas Bonitas Recycling program. Interested in heading to Salinas Grandes Nicaragua? Great choice! Traveling to Nicaragua? Here are more of our posts from our visits to this incredible country! Visit Lonely Planet for some great reads about Nicaragua and where to go. Don't miss Ometepe Island on your trip to Nicaragua, and climb the Ometepe volcanoes!